Get notified when Milwaukee Brewers tickets are available! The Milwaukee Brewers play in the Central Division of Major League Baseball’s National League and have called Milwaukee home since 1970. The home ballpark of the Milwaukee Brewers is Miller Park, a stadium that holds the distinction of having the only fan-shaped roof in North America, allowing its roof to be closed in just 10 minutes in the event of rain. Completed in 2001, the stadium holds more than 41,000 fans, and it is nicknamed The Keg due to the Brewers’ association with beer-making. 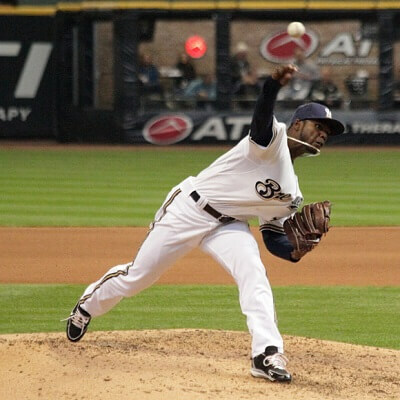 Buy Milwaukee Brewers tickets online for a game at Miller Park by using the links above.